Welcome to the Associate Chapter of Delta Phi Lambda Sorority, Inc. at Illinois State University. 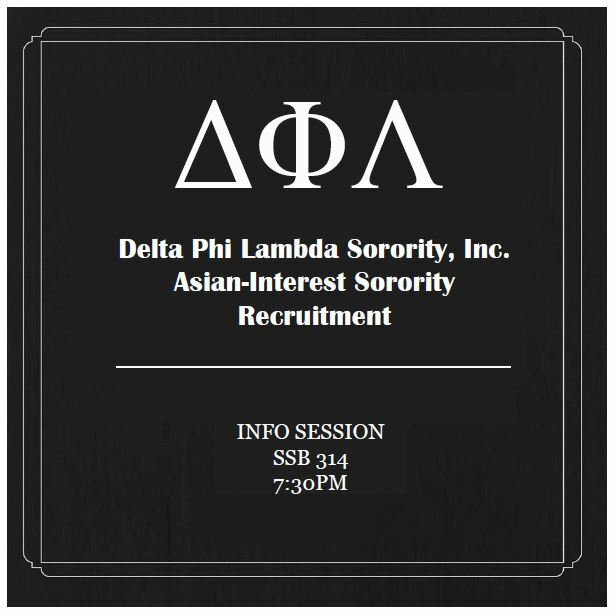 We are the first and only Asian-Interest Sorority at Illinois State University. We are dedicated to our mission of advocating Asian awareness and empowering women leaders through values-based programs and everlasting sisterhood. We look for Dedicated Female Leaders who display our virtues of Loyalty, Honesty, Respect, Dedication, Integrity, Discipline, and Academic Excellence. 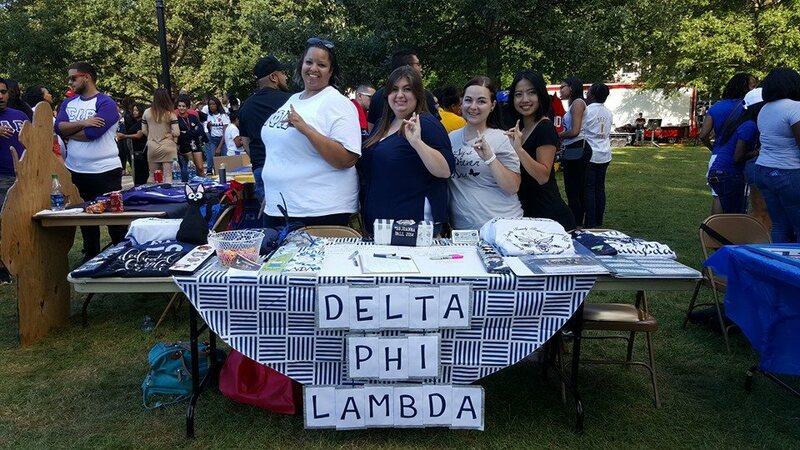 Sisters participated in the Diversity At State's Kick Off 'Que event on Sunday, August 21. With a live DJ and free BBQ, organizations of diversity set up informational tables along the quad for students to learn more about the different organizations and what they have to offer. Fraternities and Sororities of NPHC and MGC showcased a variety of strolls throughout the evening. ​Happy first day of classes, Redbirds! We can't wait to see what the 2016-2017 school year has in store for us at Illinois State. Sisters hosted an informational session on Wednesday, August 24. 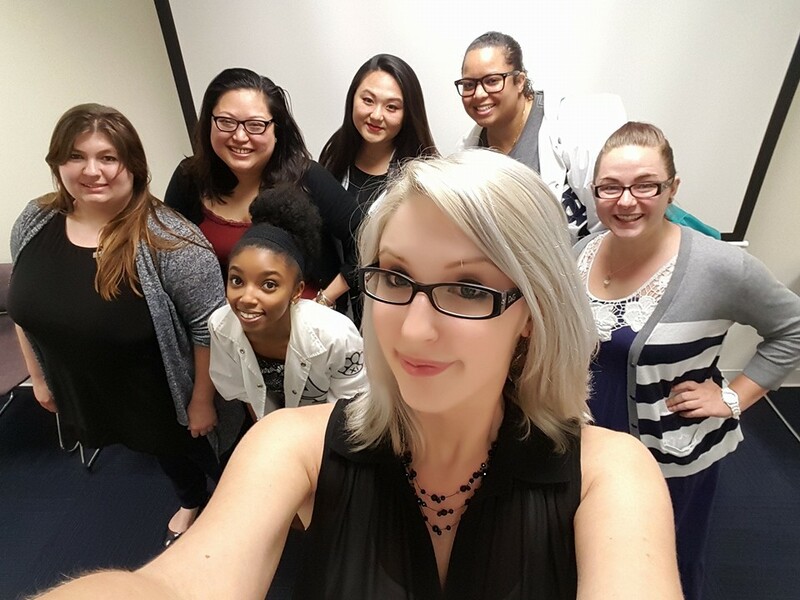 The presentation allowed collegiate students to learn about Delta Phi Lambda Sorority and the previous Illinois State University chapter. The sorority advocates Asian awareness and empowers women leaders through its values-based programs and everlasting sisterhood. For those that missed the info session or had additional questions not answered during the presentation, we encourage you to reach out to us.